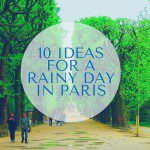 Paris is one of the greatest cities in the world but it ain’t one of the cheapest to visit. 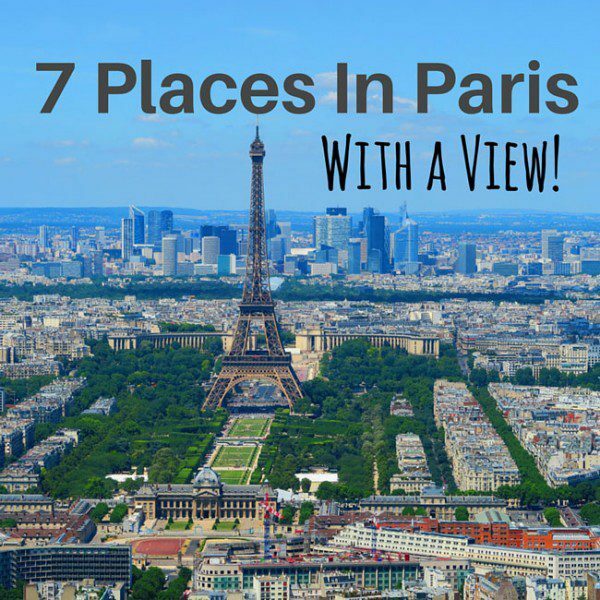 I just returned from spending three memorable months in the City of Lights and I’m here to share with you some of the top free things to do in Paris. 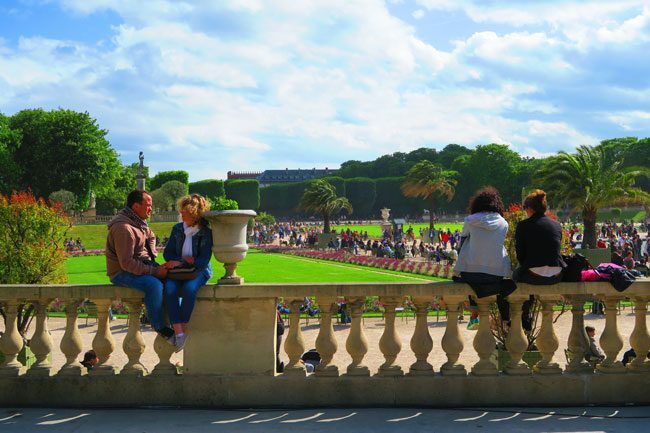 Even if you’re visiting Paris on a budget, there’s plenty you can do for free and in the case of Paris – free can sometimes be the best! 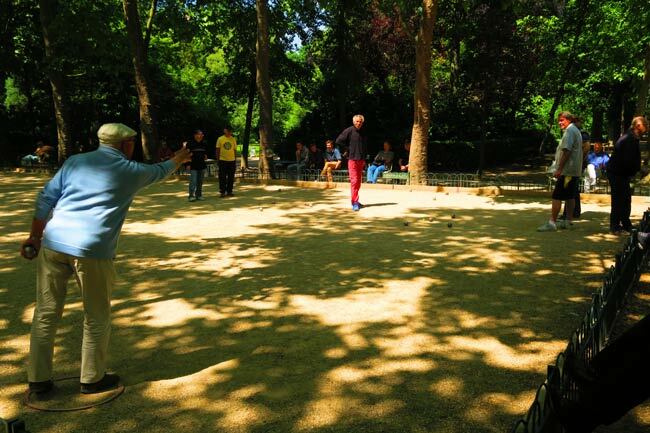 Whatever you do while in Paris, do yourselves a favor and enjoy the small subtleties of life. 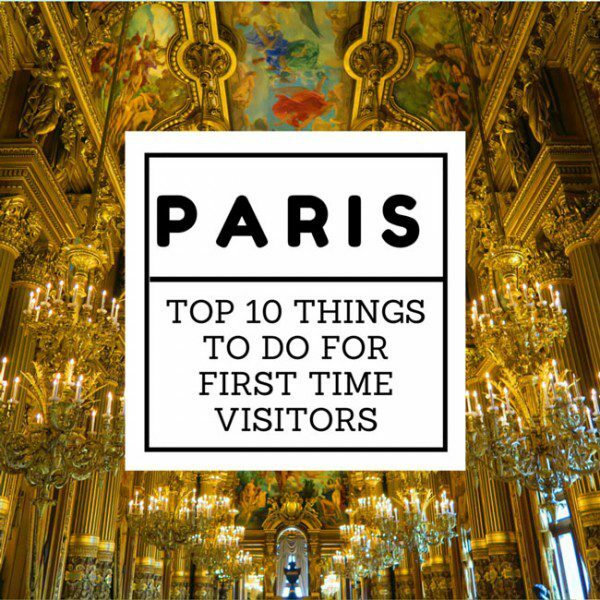 The French call it the joie de vivres and often time, the best experiences don’t cost a thing! 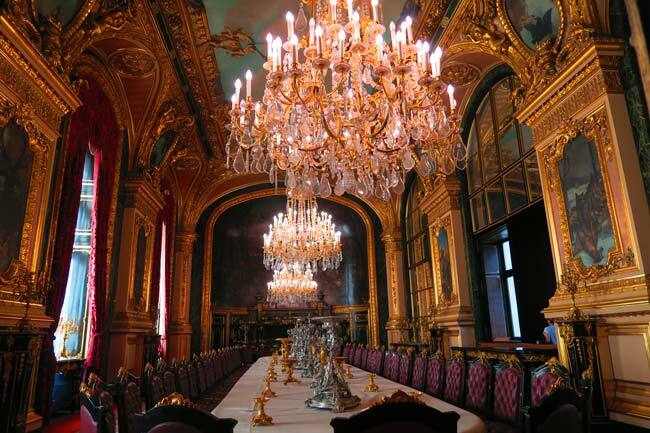 There are so many brasseries and bistros in Paris and you should definitely try a few. 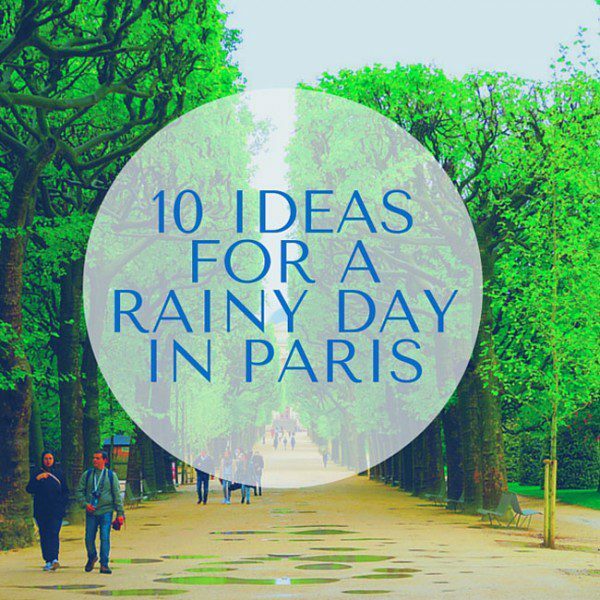 But why not keep things simple and just have a romantic picnic on the banks of the Seine? 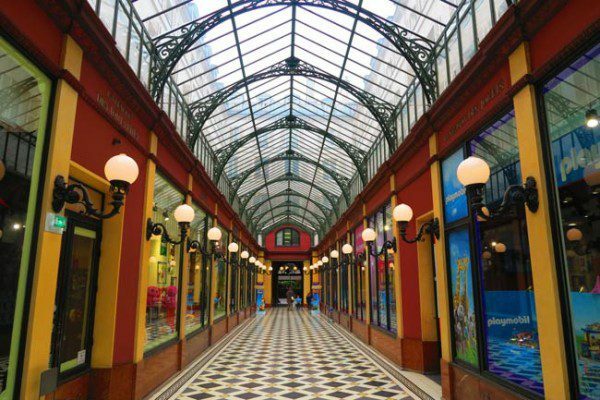 Paris is essentially one giant museum, with lots of its famous sights right on the river. 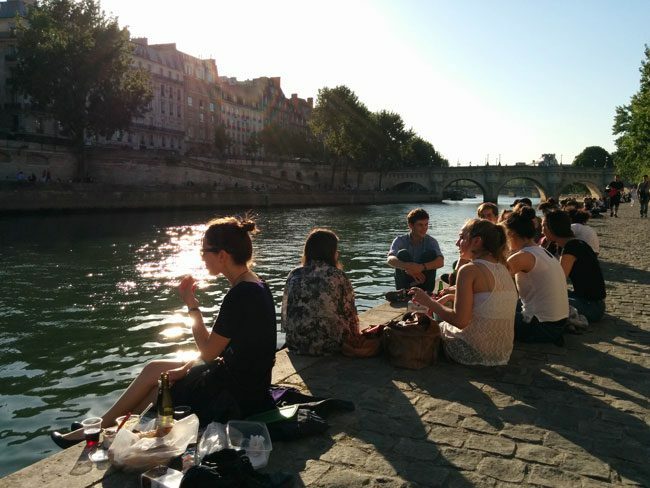 So it makes perfect sense, especially in spring, to just find a spot along the water and do what all the Parisians do. 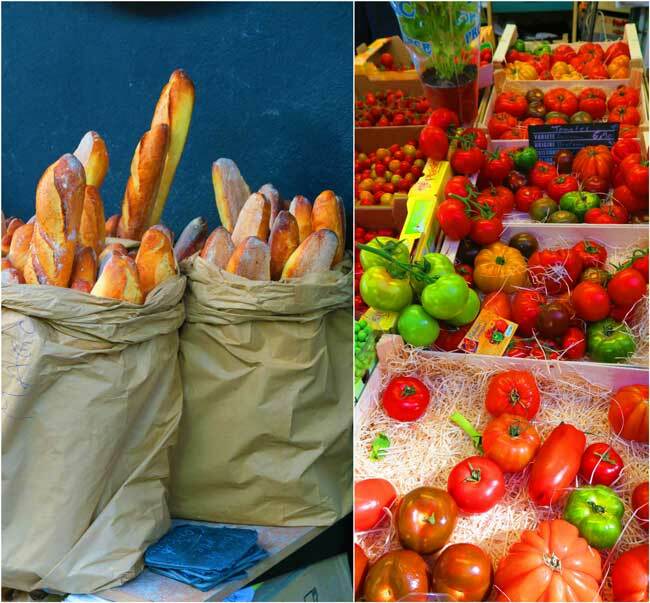 Head over the nearest market to stock up on some fruits & vegetables along with some cheese and whatever else you fancy, then hop over to the neighborhood boulangerie for some fresh baguettes and let’s not forget a bottle of wine (if you are paying more than €10 for a bottle, then you’re mad). Not completely free but for just a few Euros, you have yourself an excellent picnic lunch or early aperitif in a romantic setting. 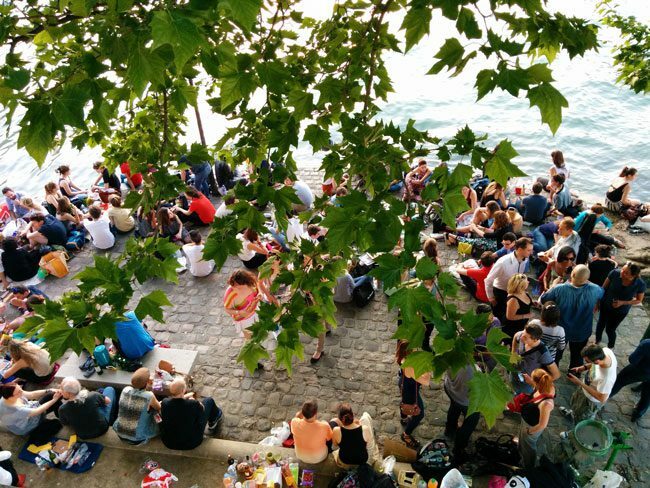 The best spots for a picnic on the Seine are: the left bank of Ile de la Cite (along Square du Vert-Galant is preferred) and on the left bank, just beneath the Pont Alexandre III. 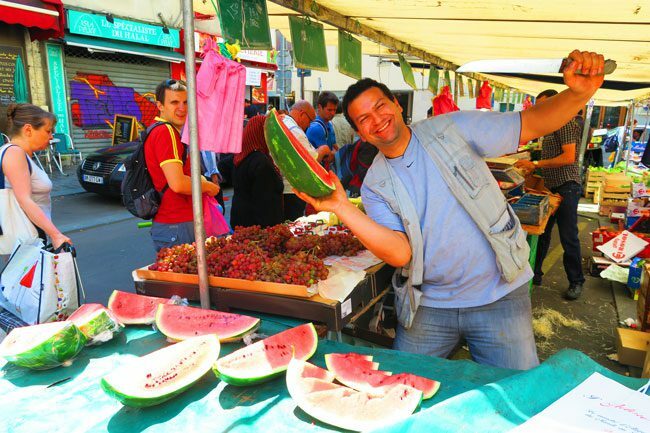 It’s the perfect way to experience Paris like a local and it’s free! Whatever you do – just don’t forget a bottle opener! 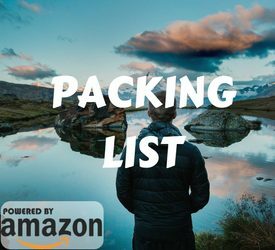 It’s one of the simplest and most memorable things you’ll ever do. In a city that’s loaded with beautiful cathedrals, few are as majestic as the Notre Dame. For me, these old European churches are more like museums and I am always curious to visit a few when I travel. The Notre Dame is definitely not something you want to miss and it’s totally free to enter (except when there are special concerts inside). 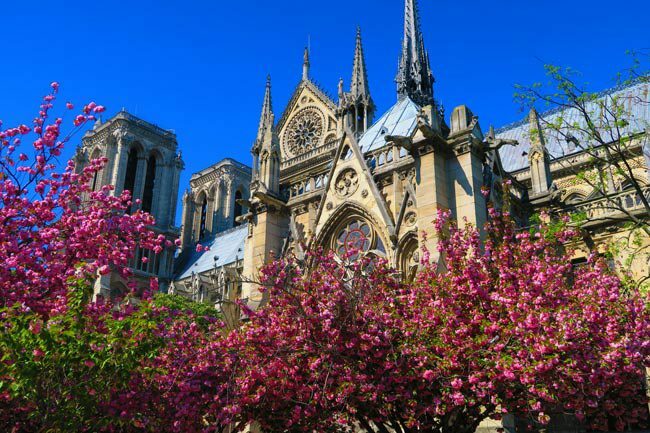 The flagship cathedral of Paris, the Notre Dame is located on Ile de la Cite. This is pretty much where Paris started out as a small Roman settlement called Lutetia. 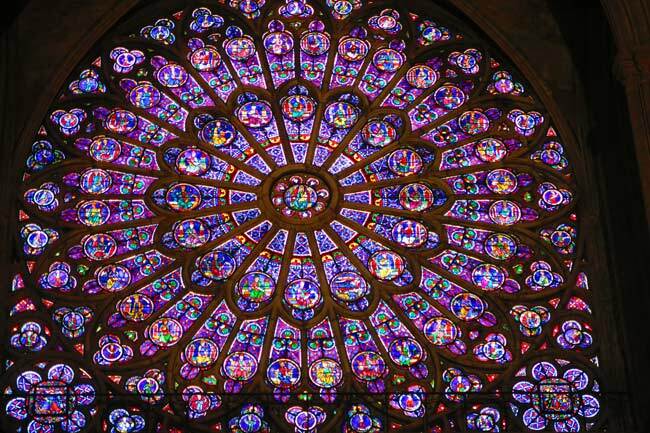 This Gothic masterpiece was completed in 1345, after almost 200 years in the making. 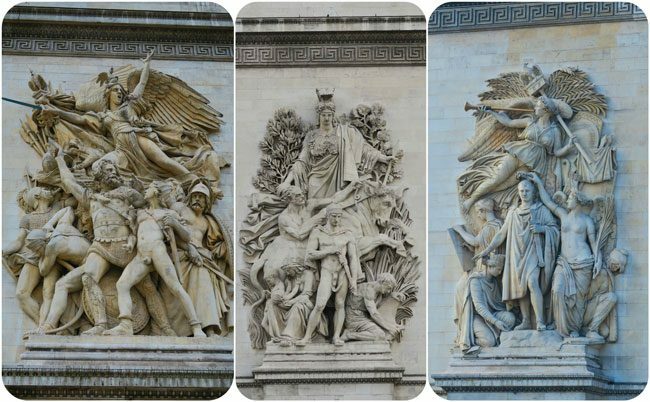 On the exterior, have a look at the famous facade which depicts the ‘judgement day’. 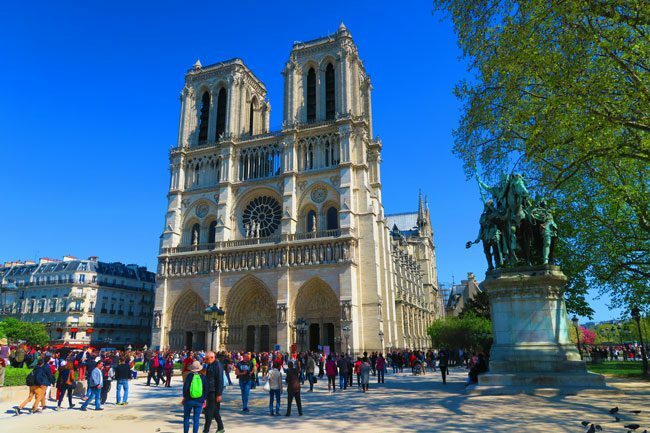 When you’re ready, head inside and marvel at the sheer size and the beautifully massive stained glass rose windows – the Notre Dame’s signature. 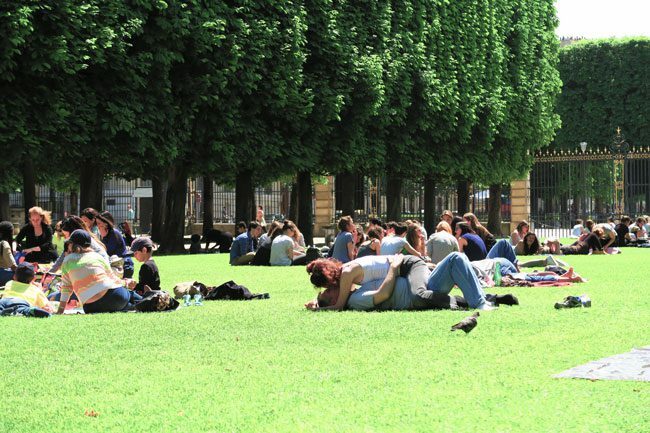 As you exit, walk to the back and take a break at the Square Jean XXIII. 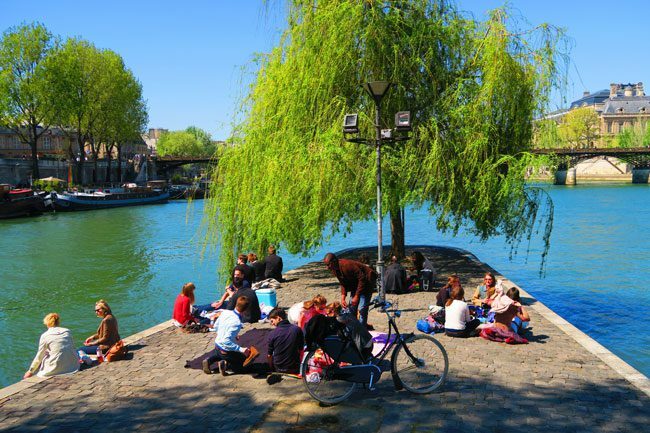 If it’s springtime, you’ll be treated to the romantic cherry blossoms and even if it’s not spring quite yet, the views of the Seine are a picture postcard. If you really like waiting in line and for a few Euros, you can climb up to the terrace for great views of Paris. Constructed for the 1900 Universal Exposition together with its big sister across the Road, the Grand Palais and the beautiful Pont Alexandre III – the Petit Palais might be relatively small but it houses the interesting Fine Arts Museum (Musée des beaux-arts de la ville de Paris) and the building itself is just super impressive. When you’ve had a look at all the art, step outside to the inner courtyard and treat yourself to a nice cup of coffee from the charming cafe. It’s another one of the great free things to do in Paris and it wasn’t crowded, even when I visited on a Saturday in June. I found the museums in Paris to be pretty accessible in terms of admission prices, rarely going above €15 for an adult. 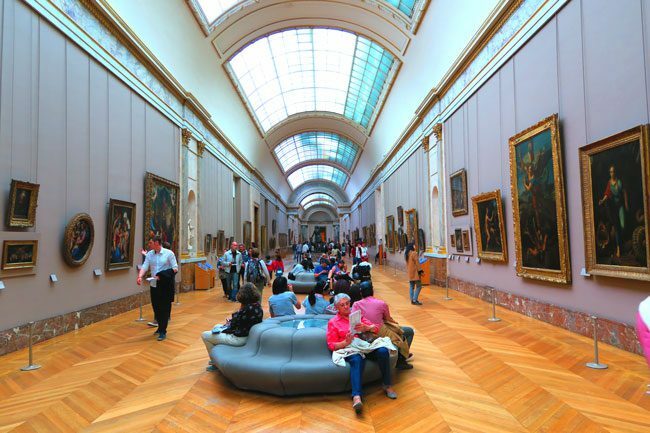 You also totally get your money’s worth as the Parisian museums are so huge and in fact, there are a few museums that are totally free. 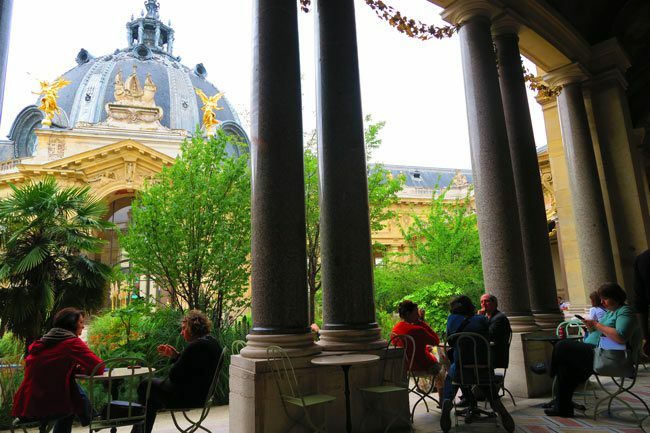 You can always buy the Paris museum pass if you’re planning to a visit a few of the marquee museums but you can also take advantage of admission-free days – and there are lots of them. 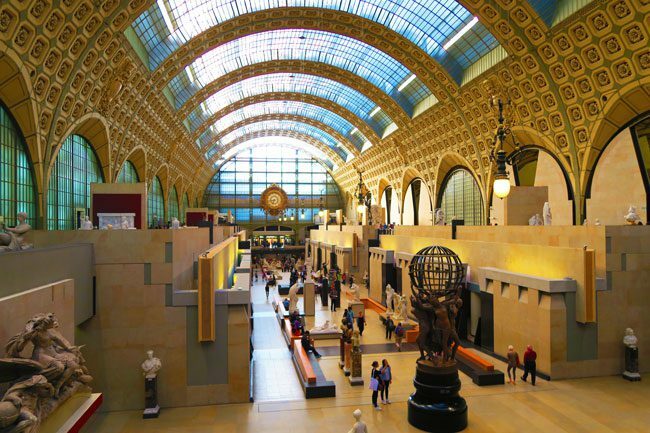 The first Sunday of every month is usually an admission-free day in the likes of the Louvre and Musée d’Orsay (check for seasonal changes). 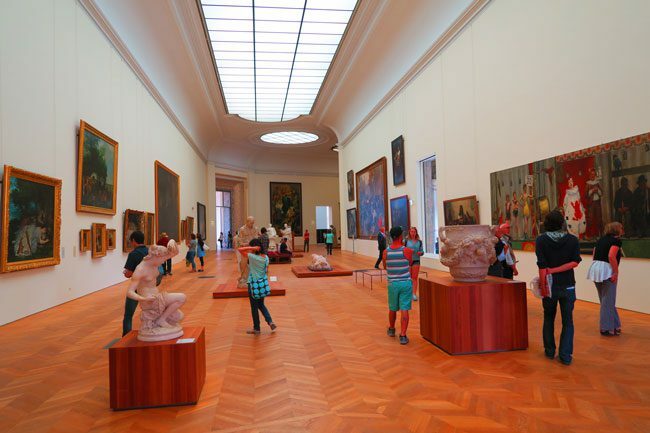 On May 16, the city’s museums also stay open until the late hours in what is known as the Night of Museums – where admission is free, of course. Le Printemps is one of the flagship department stores of Paris, built in chic Art Nouveau style. It recently celebrated 100 years of business in grand fashion and there’s always something cool on display in their main vanity window. The real highlight (aside from the shopping), is to make your way to the Cafe Deli-Cieux and step outside to the terrace. 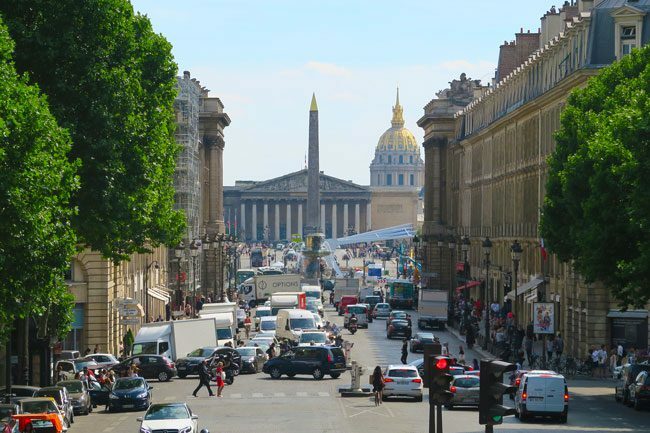 You’ll be treated to 360-degree views of Paris and you don’t even have to buy anything at the cafe, though I did find that a glass of fresh white wine goes well with this kind of view! UPDATE: Cafe Deli-Cieux has closed its doors but it’s still worth checking if rooftop access is possible. I assume a new establishment will shortly open at this location, if it hasn’t already by the time you visit Paris. 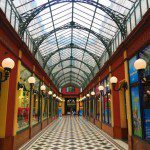 Paris is a city that rewards those who explore it by foot! I guarantee that you’ll discover small surprises every few city blocks. 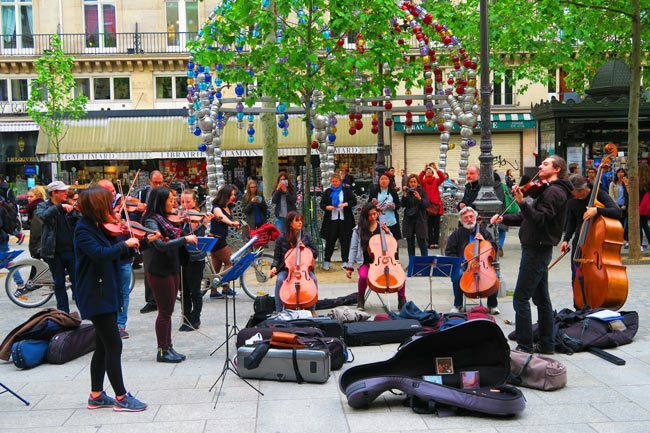 One of these surprises will surely be a great musical performance by the countless artists that take to the streets of Paris every day. 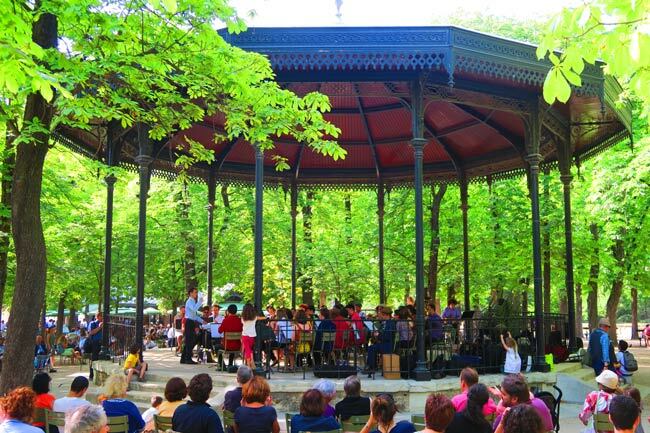 The best spots that I’ve found for good street music in Paris are: right outside the Saint Germain des Prés church, on the small square just outside the southern end of the Palais Royale (right by Le Nemours cafe) and on the Pont Saint-Louis. But really, you just need to walk around and you won’t be disappointed. 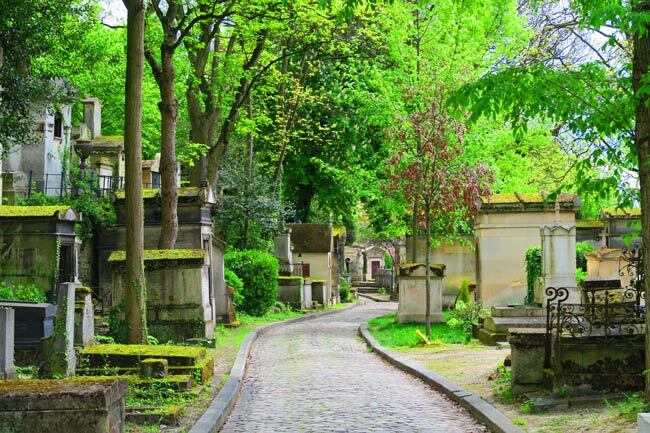 For those who didn’t make it to the Pantheon, over in the Latin Quarter of Paris, the Père Lachaise Cemetery is the next best thing. In fact, this is how the cemetery’s founder pitched the idea to the authorities. 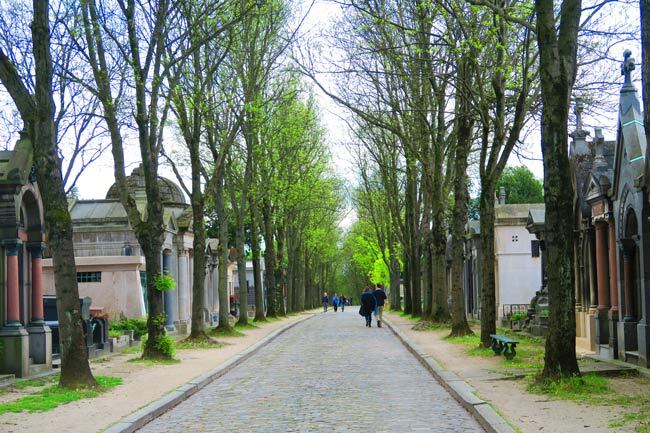 Perfect in any season, strolling around the grounds of the cemetery is so pleasant, that you’ll forget there are people actually buried here. It’s super difficult not to get lost in the maze of lanes but that’s also part of the fun. 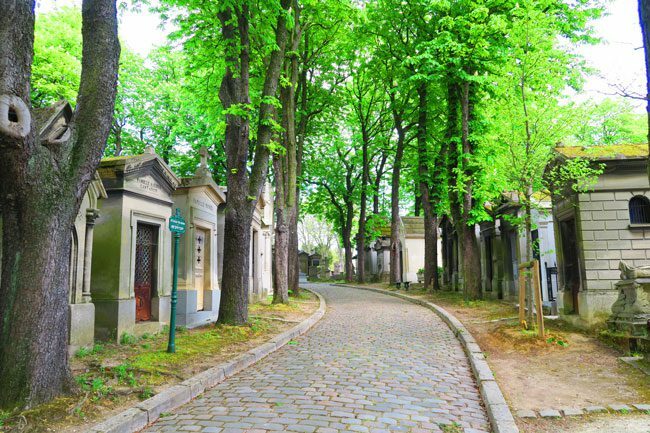 You’ll find yourself in a kind of weird ‘scavenger hunt’, trying to pinpoint all the famous residents of Père Lachaise. 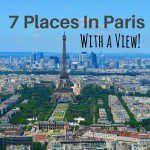 It’s one of the coolest places in Paris and definitely up there on the list of off the beaten track things to do in Paris. Say hi to Jim Morrison for me, will you? 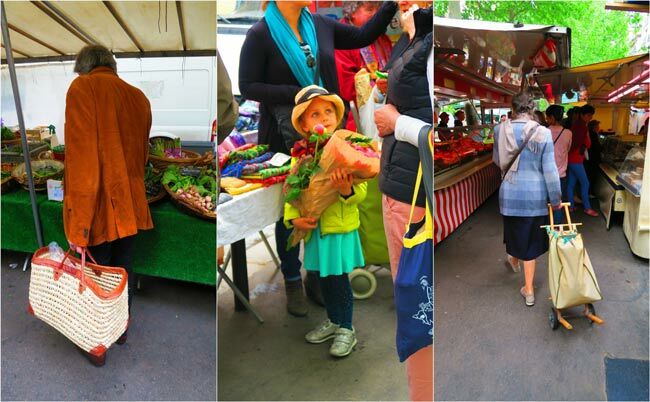 Covered or out in the open air, there’s just something special about paying a visit to a Parisian food market. 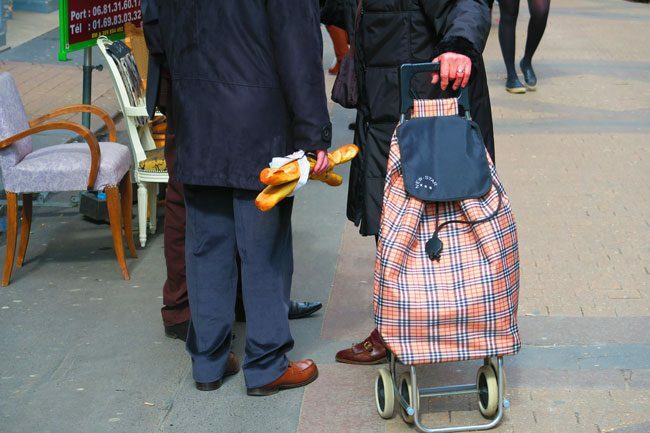 You don’t even need to bring the market trolley or that ‘classic Paris’ woven basket to take part in the fun, and it’s super fun to stroll around even if you’re not in the mood to buy anything. 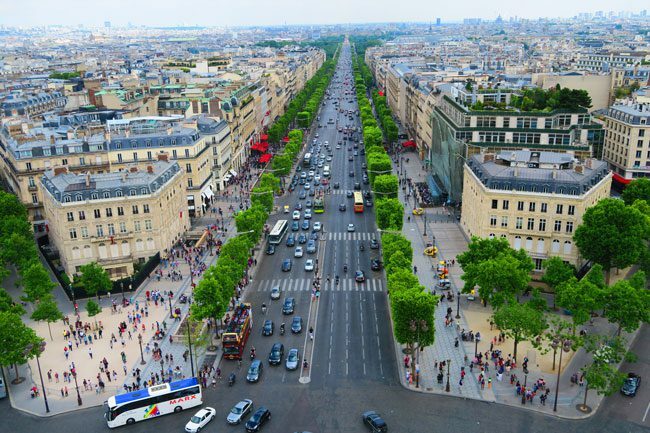 If you’ve read some of my other posts about Paris, you’ll recall I constantly mention that what impressed me the most about Paris is that it’s a city that’s designed for people to actually live in it. 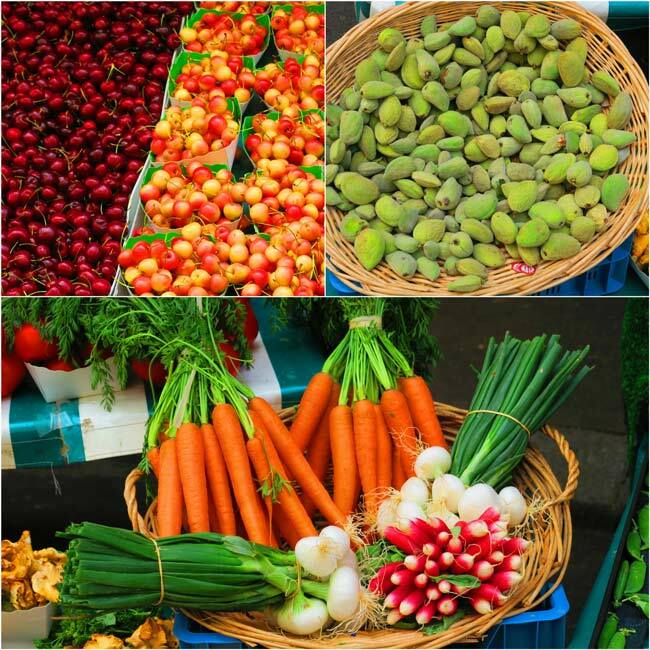 There’s no better way of experiencing this than by visiting the local neighborhood market. 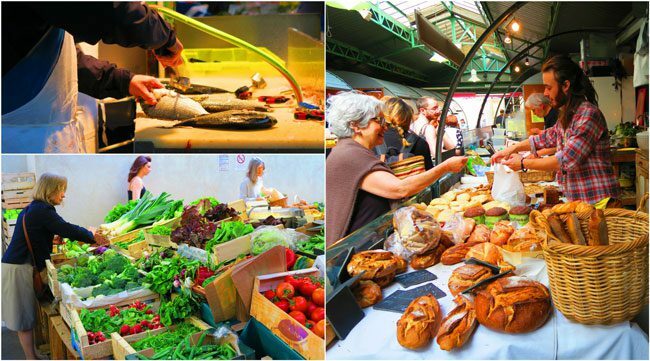 Every Parisian neighborhood has its designated market street and you’ll find everything that you could possibly crave. 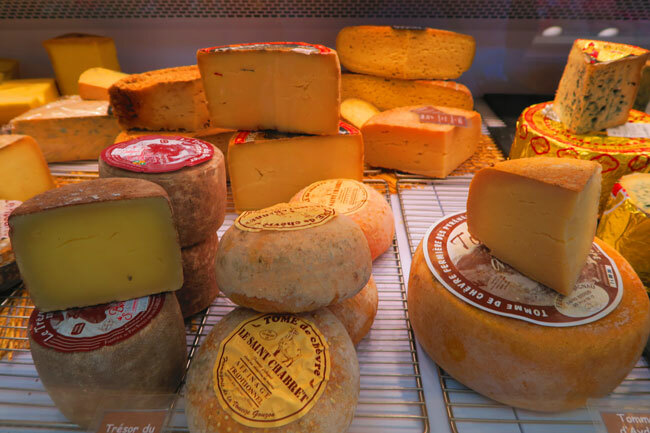 Pay a visit to the local fromagerie for some cheese, the boulangerie for some baguettes, the patisserie for some sweet pastries, the poissonnerie for fresh seafood, the boucherie for meat and well, you get the point. 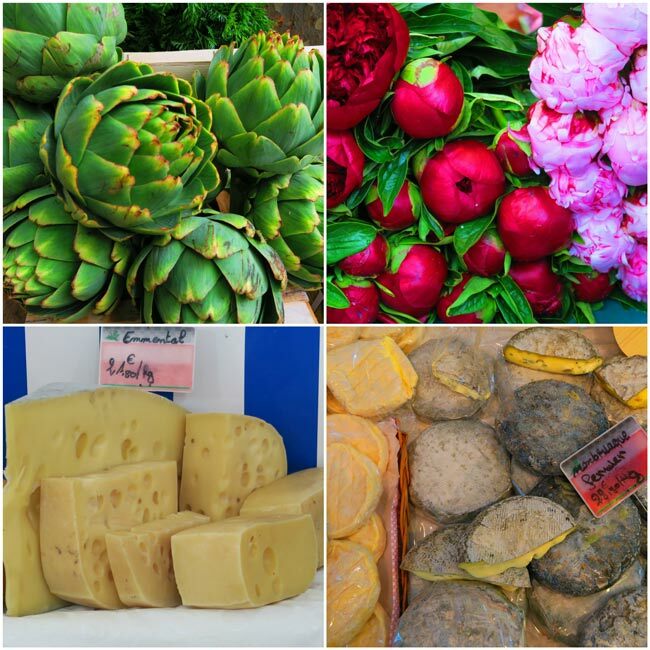 In between those are loads of fruits & vegetable stalls, where so much attention to detail is given and extra points are awarded for decoration! 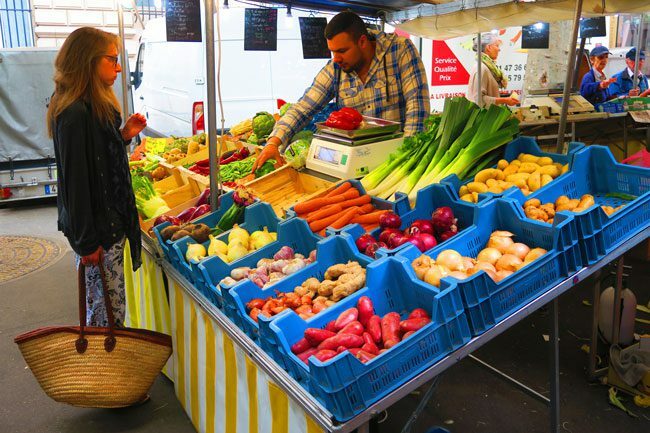 Markets will usually run the entire week but Monday, though there are a few specialty markets that only open on certain days of the week. 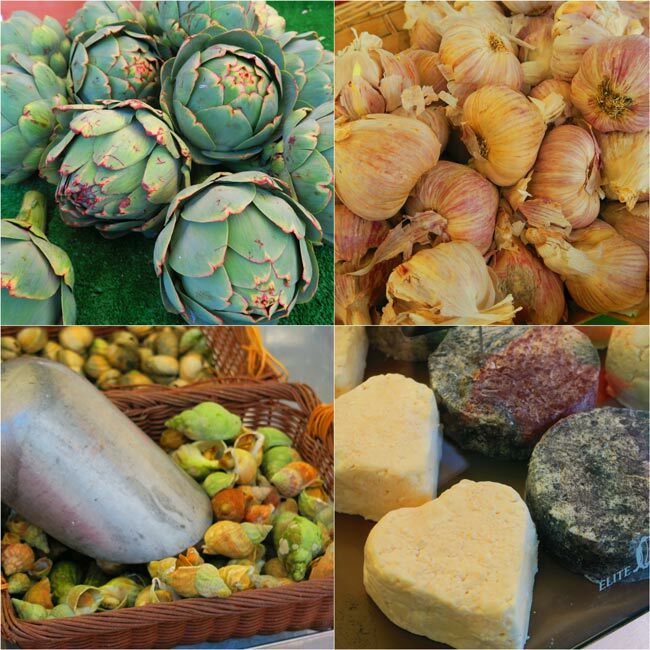 My favorites are Edgar Quinet in Montparnasse, Rue Montorgueil in the center and Marche Aligre in the Bastille. 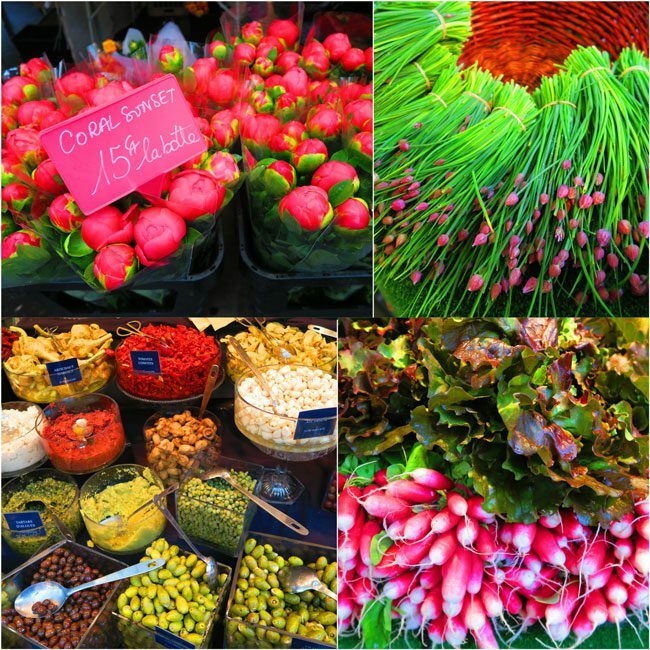 Check my 12 Paris neighborhood guides and find the market that’s on your way! 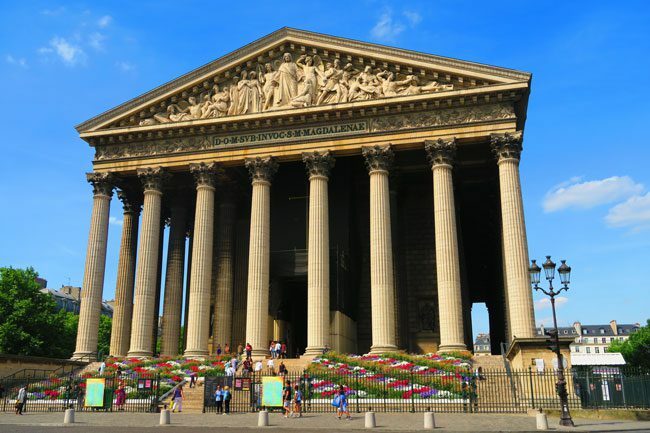 The Église de la Madeleine was originally designed by Napoleon to celebrate his military victories. 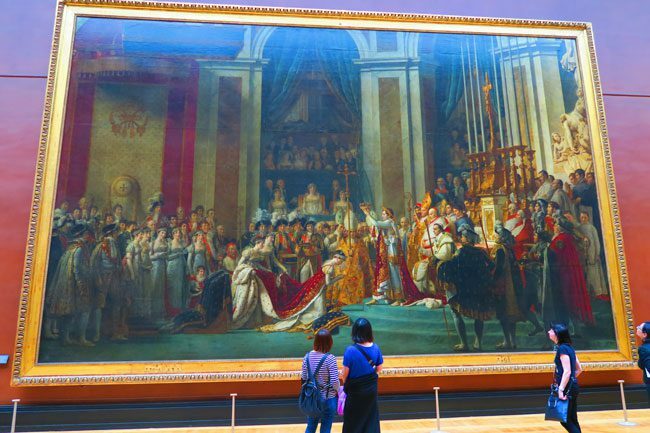 It was modeled after the Parthenon in Greece but by the time it was completed in 1828, Napoleon wasn’t as victorious as he once was and the massive structure was converted to a church (what else would do with something like this back in the day?). 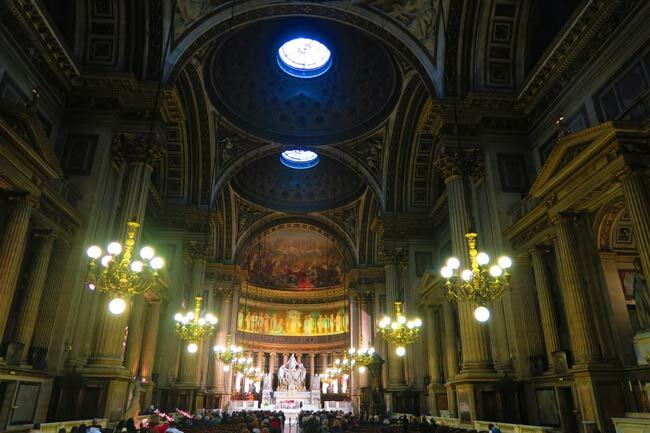 The church is free to enter and there’s a wonderful view from its steps towards Place de la Concorde and the National Assembly, its twin building across the river. Inside, you’ll really feel super tiny – this place is massive. 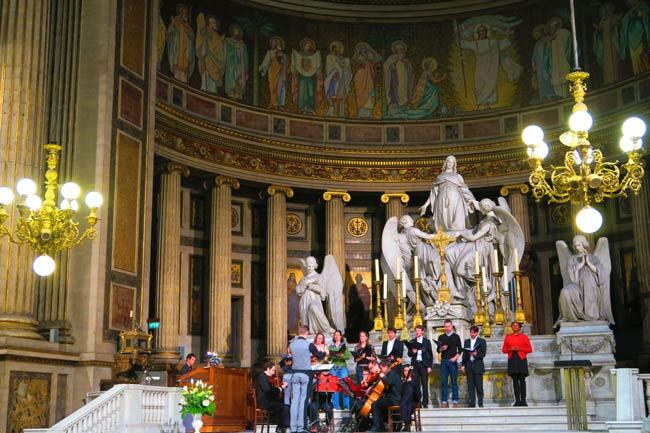 Every Sunday, there’s a musical concert inside and the locals seem to love these. Check out the schedule and you might be treated to something like this! 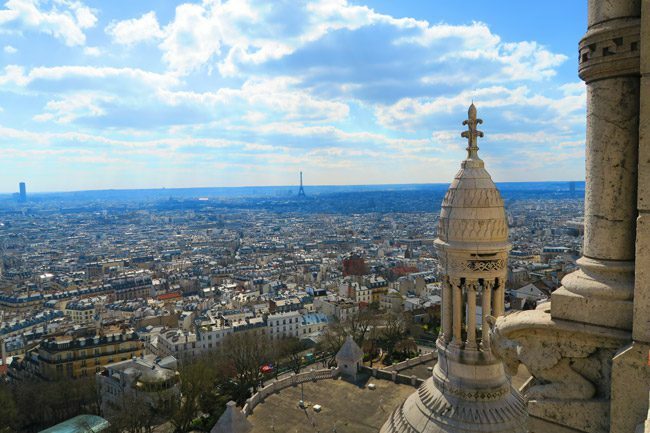 Maybe today they would have built a panoramic lookout on the highest point in Paris, but back in the late 19th century, churches were the way to go. And so, in order to cleanse the sins of those who rose against the crown in the Paris Commune, a church was to be built on this special site. 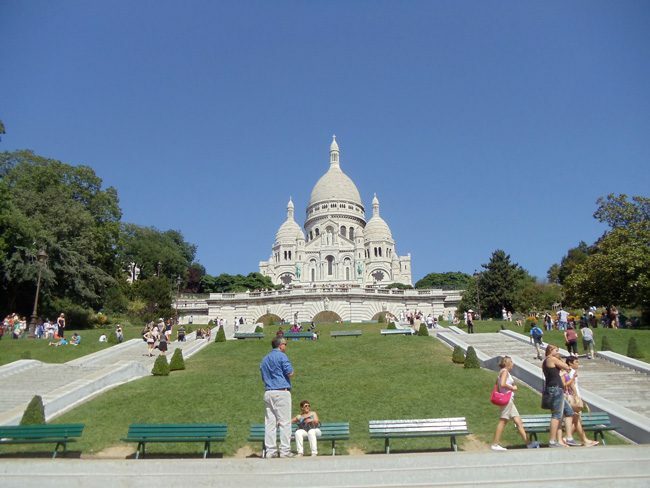 The result is the beautiful Sacre Coeur Basilica, which sits comfortably at the top of the hill and can be seen from nearly every part of Paris. 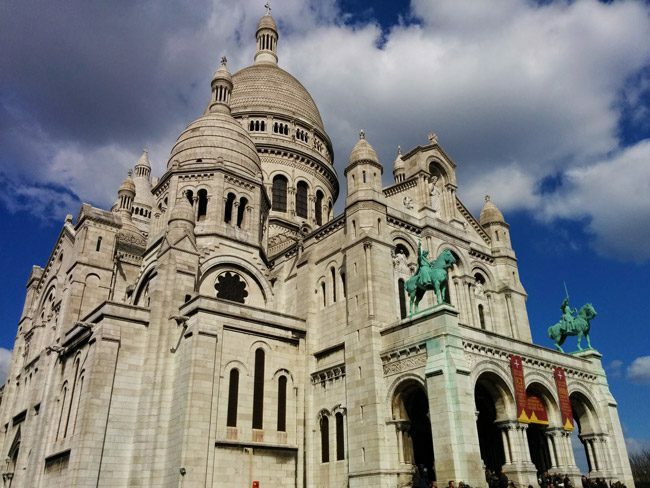 The basilica is free to enter, there’s a wonderful terrace outside for panoramic views of Paris and it also happens to be in the romantic neighborhood of Montmartre. 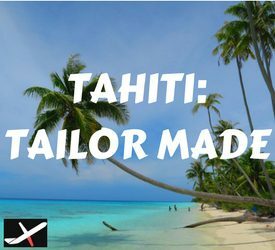 So it’s really a no-brainer why you should visit this place, though watch out for pickpockets in the vicinity. 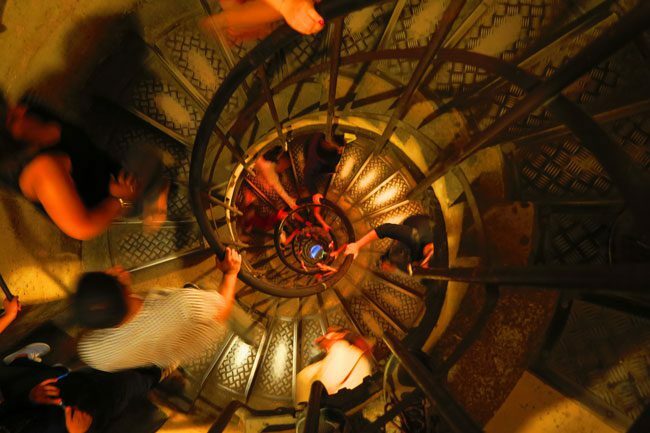 For a few Euros, you can even climb the 300 steps and exit at to the terrace for even better views of Paris. 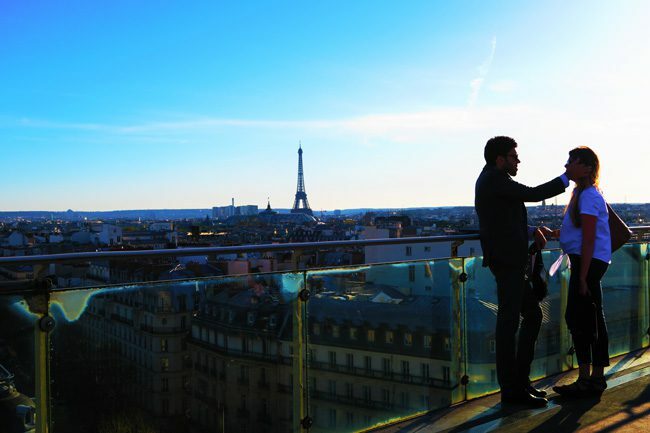 They say that when you’re up in the terrace, you’re as high as you’ll be when visiting the Eiffel Tower! 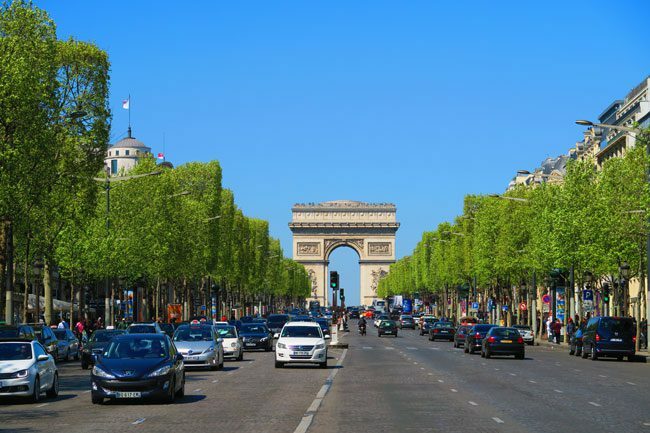 At the very edge of the most famous avenue in Paris and in the middle of the most confusing roundabout, you’ll ever see, is one of the most iconic structures in the world – the Arc de Triomphe. 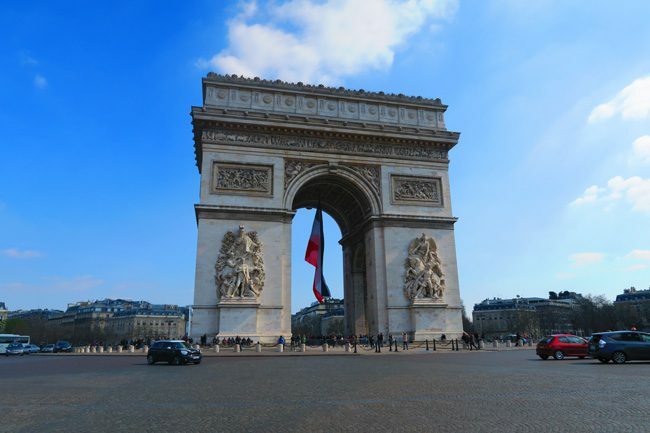 A symbol of military power and French patriotism, the Arc is massive and simply cannot be missed. To visit, just head underground and pop up right beneath the giant. 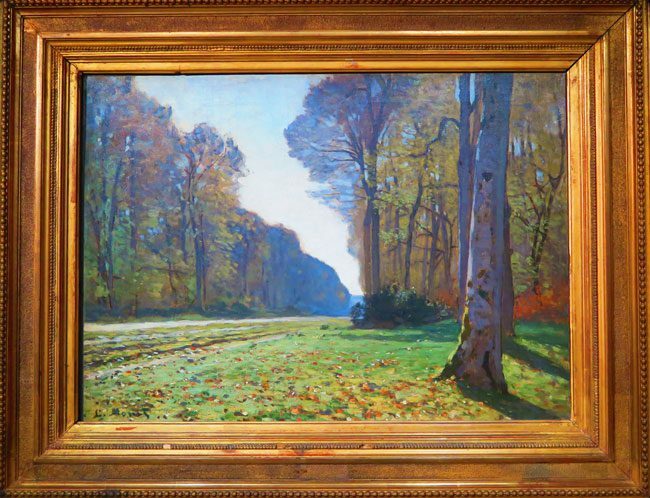 Snap a view photos of the Champs Elysees and pay your tribute at the Tomb of the Unknown Soldier. 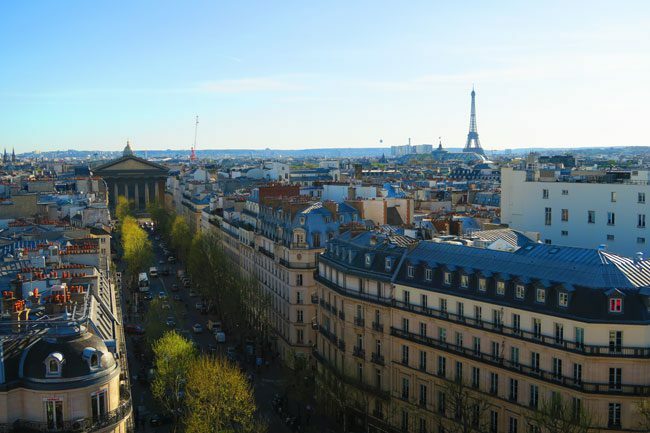 It’s totally free to visit but if you want to catch an even better view, climb the spiral staircase to the terrace for one of the best views of Paris (€9.50). They both started out as palaces and perhaps that’s why they’re so special, even long after the royals have left. 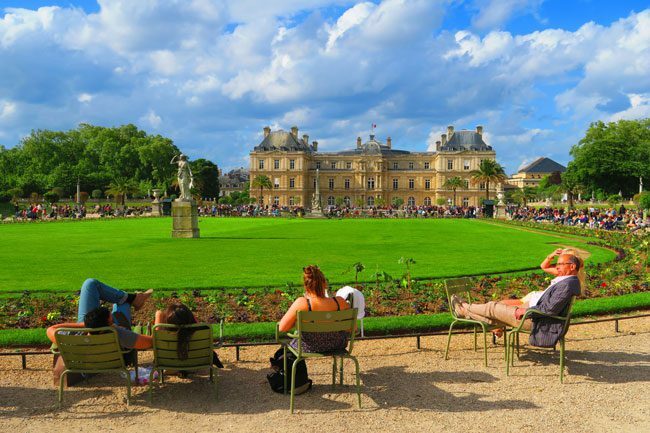 I am of course talking about the Tuileries & Luxembourg Gardens, two of the nicest parks you’ll ever visit. To call them parks is actually really demeaning. These are beautiful gardens, scattered with fountains, finely cut laws and sculptures made by some of the world’s greatest! 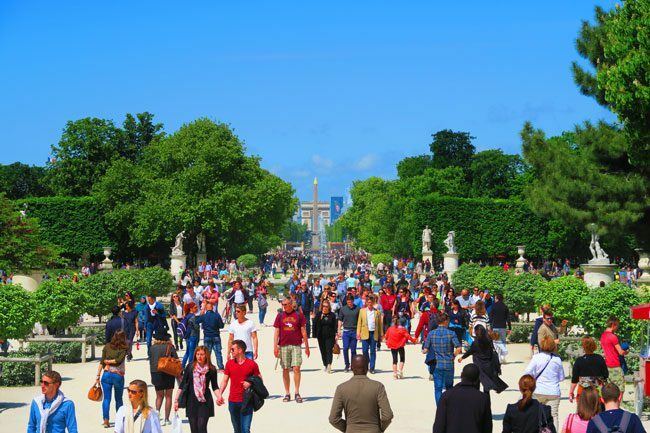 The Tuileries sits between the Louvre and the Champs Elysees so there’s no way you’ll miss it. 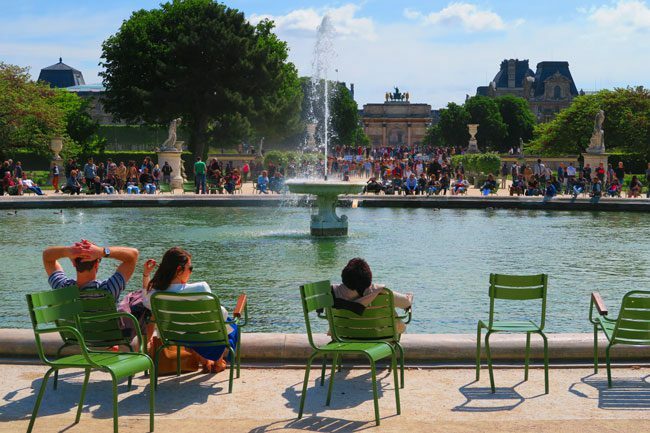 It’s got a couple of good museums, cool cafes and those iconic metal chairs that you can just move into the shade or sun – depending on the season. 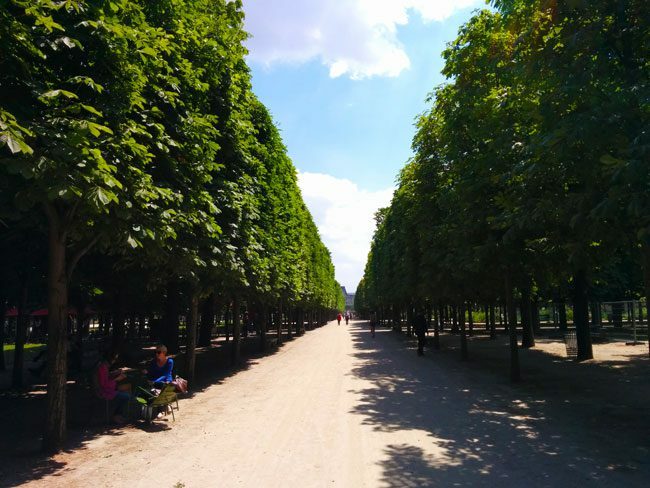 The Luxembourg Garden also has its resident museum but it’s got a more intimate feel to it, with quite a few areas that’ll make you want to bring a book and spend the day. 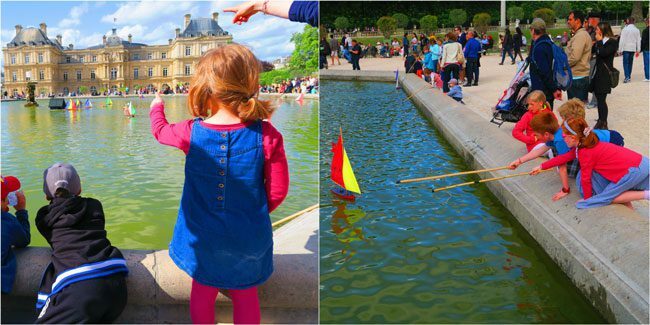 The kids will love the main pond, famous for the toy sailboats you can rent, and couples will love snuggling it out on the only lawn that you can actually sit on. Heck, they even grow honey at this park. 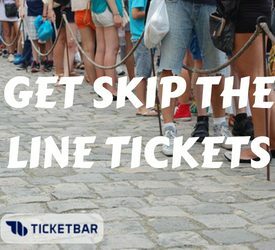 Don’t miss it for the world! So I hope you’ve seen that you don’t have to break your wallet in the streets of Paris. 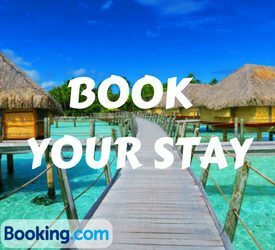 You hotel bill will already do all the work. 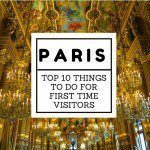 But seriously now, I’ve listed a few of the top free things to do in Paris and there are probably loads more. 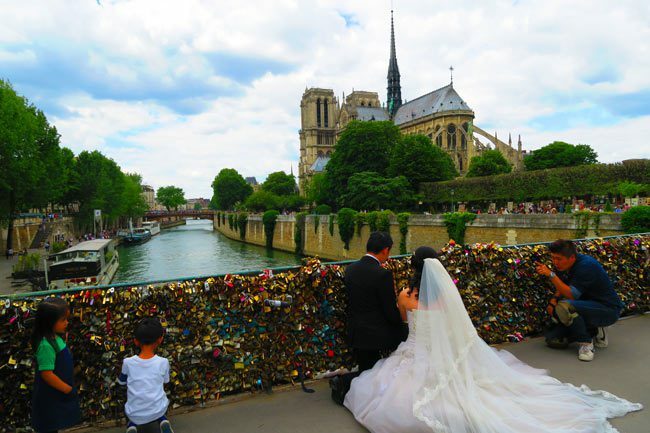 So have fun, explore by foot in you can and just enjoy this magically romantic city!